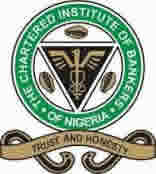 The Lagos Bankers’ Nite is an annual dinner organized by the Lagos branch of CIBN. According to the organizers, the forum provides unique opportunity for the exchange of ideas on contemporary economic and banking issues. It also affords bankers the opportunity to interact with one another and the business community. Key operators in the banking industry and a wide spectrum of people in strategic sectors of the economy are expected at this year’s edition. Speaking at a press briefing recently, the CIBN Lagos branch president, Mrs Taiwo Ige, said this year’s theme is "Repowering Nigeria's Economy: The Strategic Imperatives". The theme for the country, is coming not at the wrong time but instead at the approximate time at which the country is at a recession stage. “Everyone is now complaining bitterly about lack of corporate implementation, no money, which is leading to so many frustrated Nigerian to commit so many atrocities”.For the Nigerian economy to be in place like other foreign countries, there is need to encourage our local industries rather than importation, which is one the primary purpose of CIBN bankers Nite. This year forum will be opened not only to bankers alone but also to everyone across every sector that is interested to participate. The Guest speaker is Chief Consultant, B. Adedipe Associates (BAA Consult), Dr. Biodun Adedipe, keynote address will be delivered by President, Institute of Directors of Nigeria, Mr Samuel Yemi Akeju, and other prominent people in attendance such as HRM Ooni of Ife Oba Enitan, Adeyeye, Ojaja 11, the royal father for the day while the Lagos State Governor, Akinwumi Ambode will be the Guest of honour.